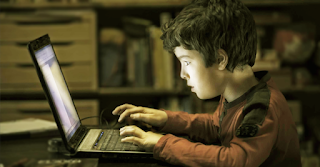 Apart from posting pictures on social networking sites and sharing exciting moments with friends, no one would have expected a 10 year old boy to be the one that would discover the security loophole of a popular social media network like Instagram. The amazing 10 year old boy Jani caught the attention of Facebook founder Mack Zuckerberg by hacking his popular photo sharing app Instagram which is also owned by Facebook. This Kid is not even old enough legally to own a facebook account but his discovery earned him a whooping $10,000 for helping the giant social media company discover the lapses in their security framework. The 10 year old boy Jani discovered a flaw in the security setup of Instagram which could allow him delete any written content on the photo sharing app just by simply altering a particular code. “I would have been able to eliminate anyone, even Justin Bieber” He said. Jani who aspires to be a security expert made his discovery known to the company by forwarding an email stating his findings and the harmful possibilities that could result from keeping it unchecked. He subsequently verified his discovery by deleting a comment the company posted on a test account. Upon confirmation, facebook moved to fix the bug around ending of February. JANI BECOMES FACEBOOK’S YOUNGEST WHITE HAT HACKER displacing a 13 year who was the incumbent champion age wise. This is very inspiring, sometimes I wonder when African teens will be making landmark discoveries like this. What do you think? Kindly share your opinions via comments.